This Baal is more like the Baal I’d imagine after dying over ten times in Diablo II Act V’s Worldstone Chamber. Not a one to one copy, more like a reimagination. Pretty cool, nevertheless. 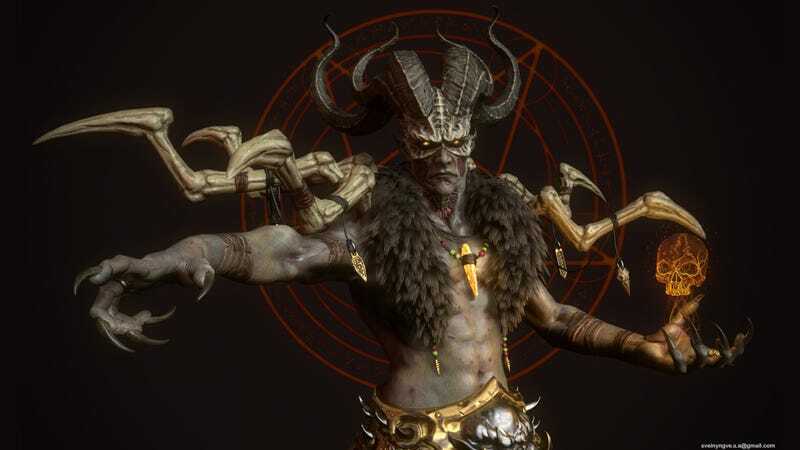 You can find galleries for the other act bosses, Andariel (NSFW), Duriel, Mephisto, and Diablo by clicking through the links in their respective names. More pics for Baal are below. GIF via the Diablo 2: LoD intro.